Collecting coins is slowly becoming one of the world’s greatest past times. As more and more people get involved in this lucrative hobby, buying and selling rare coins is becoming all the rage in certain circles, especially as many coins are hard to find. Knowing the value of your coins is essential when you want to sell or even purchase them. That is where coin grading comes into play. Before you begin a lucrative coin exchange, you need to understand exactly what coin grading is and why it is important. This article will shed some light on the subject. 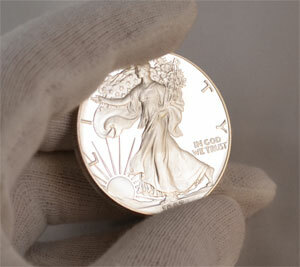 Coin grading is the process of determining the grade or condition of a coin. 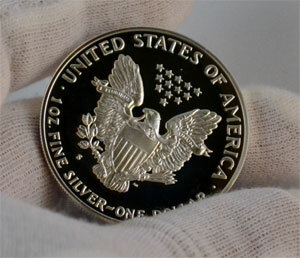 It is used on coins that are collector’s items to determine their value. When grading coins, the characteristics of the coin under consideration are quality, interest factor, rarity and the liquidity factor. Two professional grading centres in the United States are the Professional Coin Grading Service or PCGS and the Numismatic Guaranty Corporation or NGC. The smaller centres such as ANACS and ICG are more specialized. When purchasing a rare coin, professional advice from these centers can prove to be valuable. Coin grading is necessary for the avid collector, as it is the best way of determining whether a coin fits your collection. It is also important to have a professional sign off on the standard of a coin before you make a purchase. It is worth noting though, that each professional may grade your coin to a slightly different standard. When you get your coin graded you get certification from a professional institution. This can help you build a collection that is strike-specific, or even one that has particular peculiarities that make it unique. Bottom line, grading coins helps you ensure that you are making a good investment and also, making a viable addition to a well nurtured collection. In the mid-1950’s, a new scale was invented by an American Numismatist called William H. Sheldon. The Sheldon scale was created to measure the relative value of a 1794 Large Cent. The system he created went from 1-70 because the cent was worth US$1 in its basal state and US$70 in its uncirculated state. Though the numerical scale was first used to grade copper coins, it is now widely accepted as the standard scale for grading all coins. The scale determines whether the state of a coin is poor (the bottom of the scale), fine (the middle of the scale) or in mint condition (the highest value on the scale). Not everyone has the time or the resources to find a professional or go to an agency, to grade their coins. Luckily, the 21st century has seen the advent of coin collection software. Software like that available from Coin Wizard Supply can help you organize and catalog all your coins. Search for some on amazon or ask the local coin shop for suggestions. You can also sign up here at CoinTrackers and organize your coins, but we lack the technology to properly grade your coins.